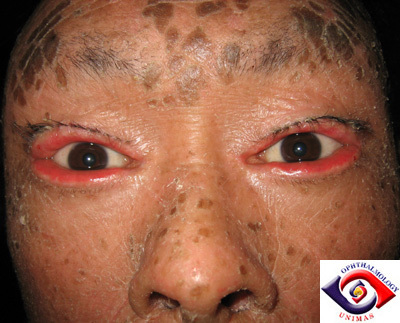 This 21-year-old man was referred by the dermatologist because of ocular irritation. He had this skin condition through out his body since birth. There was no family history of note. His development was otherwise normal. His vision was 6/6 in both eyes and there were no changes in the anterior segment. a. What do the pictures show? b. What is the most likely diagnosis? 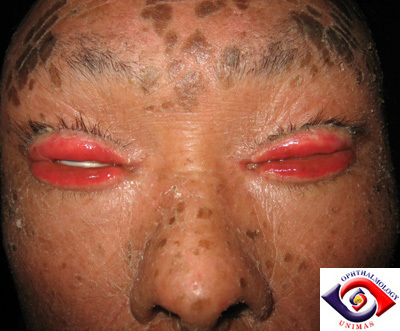 c. What other ocular signs may be present in this condition? e. How would you manage this patient?